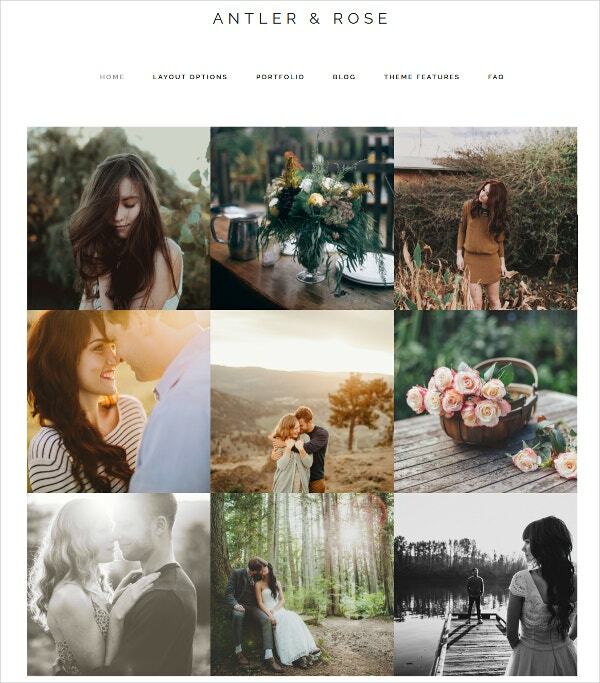 Any photography theme should be customizable to the maximum extent. These WordPress themes ensure this fact. You are able to edit the content and change the colors, headers, and footers easily. In addition, the WPML and WooCommerce compatibility are additional attractive features. The retina ready and responsive features, compatible with HTML5 enable the user to view the themes on all devices. Building your own customized header and footer is the main advantage of these WordPress Themes. This Child Photography WP theme is user-friendly with highly customizable features. You would be able to customize your site title and add your own image-based header. The built-in color customizer is also easy to use. With the Genesis 2.0 and HTML5 compatibility, you can view the theme in all browsers. The built-in portfolio and 3-column widgetized footer are other additional features. You may also see Portfolio WordPress Templates. 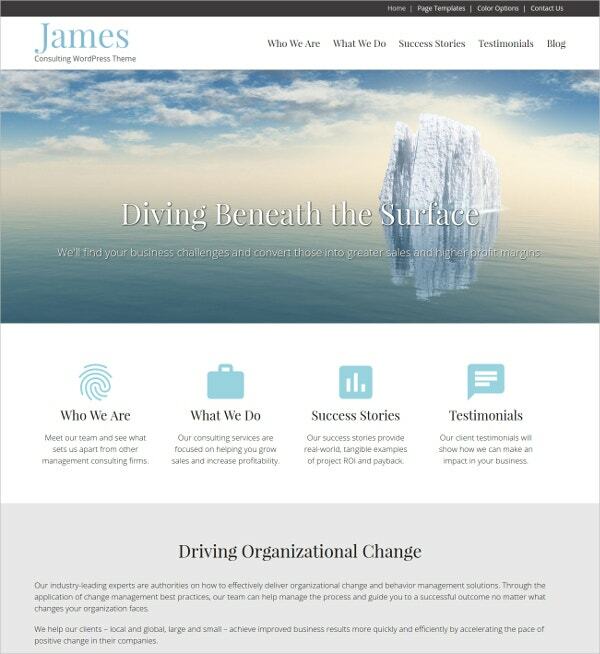 This consulting WP theme is perfect for the consulting firms. This theme is an attractive one with many color options. The highly responsive nature of the theme allows you to view the theme on multiple devices. The theme is an easy one to use with friendly menus and icons. Social media integration is also very easy in this theme. 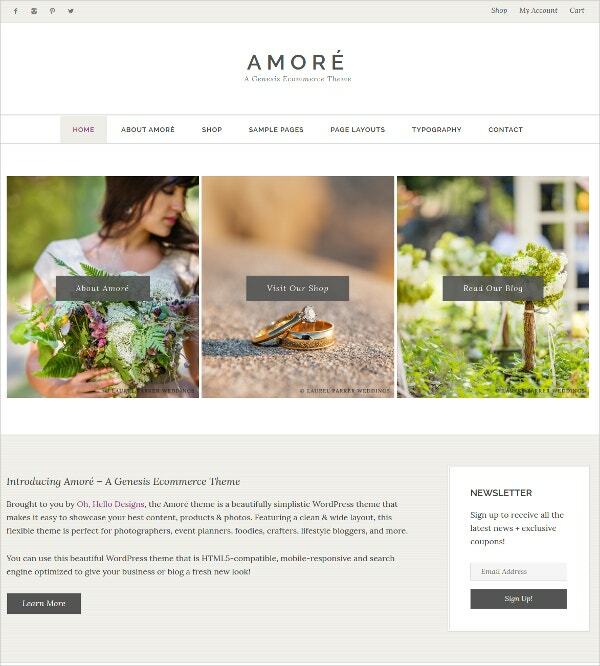 You can also see Photography WordPress Templates. This is a versatile theme in many respects. This is a perfect theme for a blog. Compatibility with WooCommerce enables the user to transact business online. The responsive and retina ready features make this theme easy to view on all devices. The important feature is that you should use the theme with the Genesis framework v.2.0. 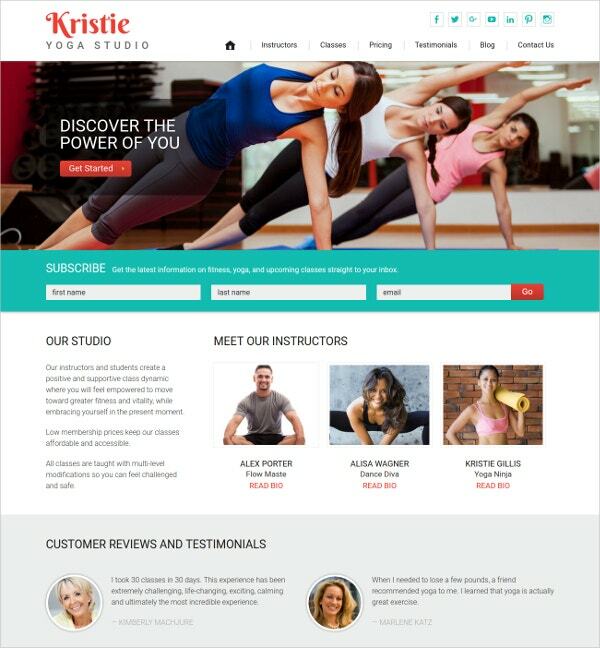 The Yoga WP theme is excellent for marketing this beautiful way of life. This theme offers the best solutions for your yoga requirements. It has easy integration facilities with the social media. The retina ready features and responsive nature of the theme allow it to be viewed on various devices. With the HTML5 markup facilities, this is an easy theme to use. 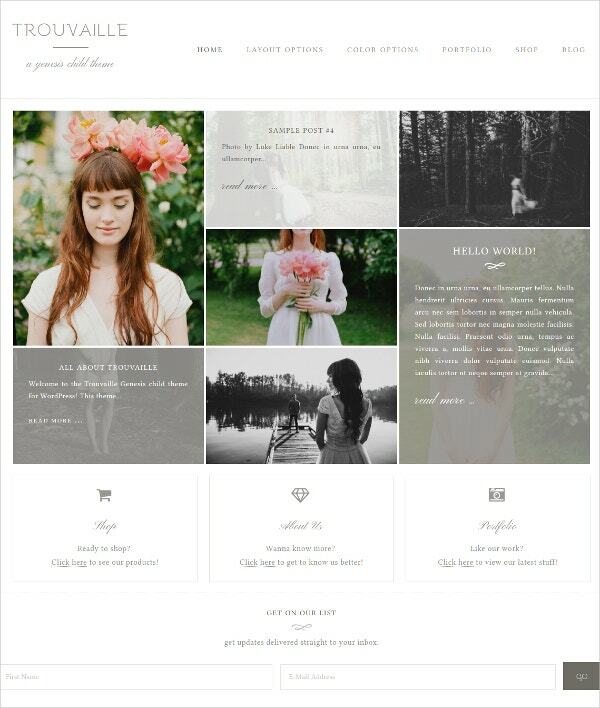 The Feminine Genesis Chile WordPress Theme is a highly customizable theme in all respects. You get many styling options with this theme. The six-page layout facility is an added attraction. Compatible with WooCommerce, this SEO friendly theme allows for easy business transactions over the internet. The HTML5 markup language allows the theme to be compatible with all browsers. 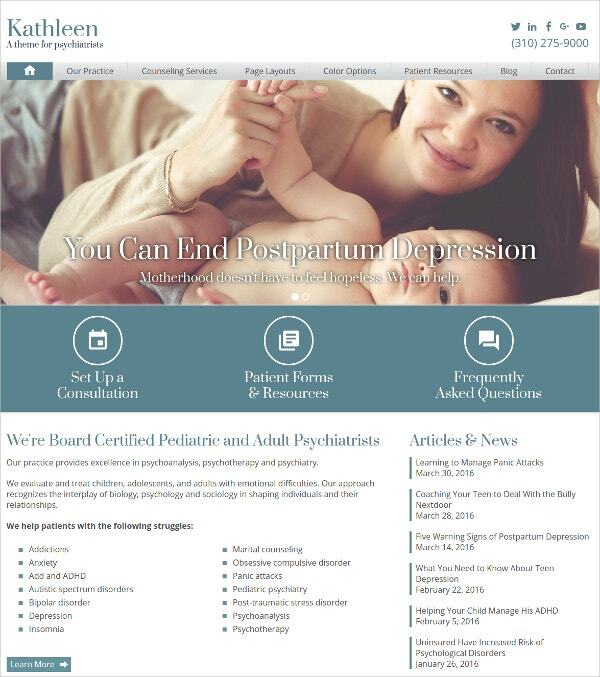 This is one of the best WP themes for psychologists, therapists, and the psychiatrists. 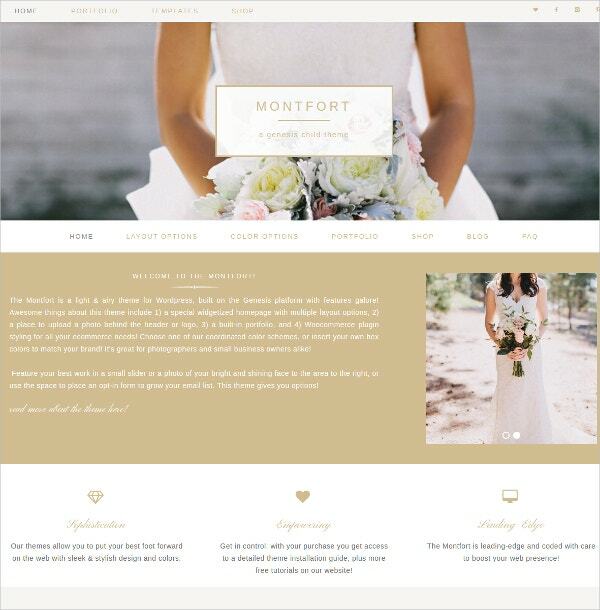 Available in multi-color options, this theme is responsive as well as retina ready. This makes it viewing on other devices an easy task. The WPML compatibility enables the user to use the theme in a variety of languages. 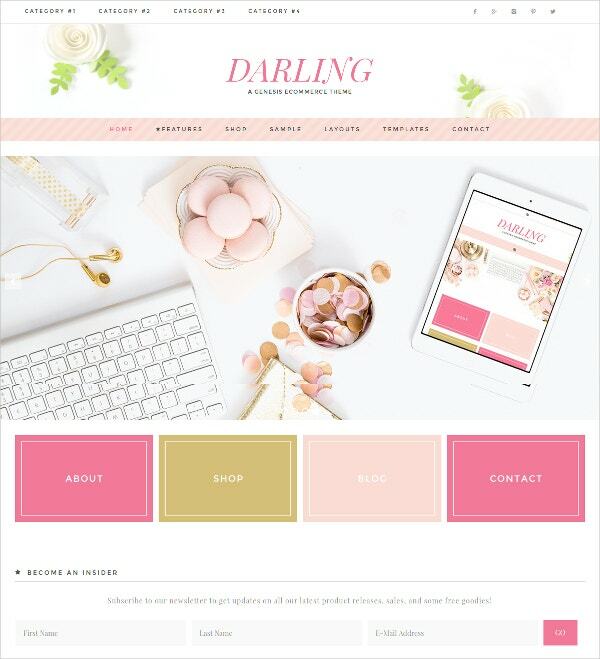 This highly customizable theme comes with many user-friendly features such as built-in portfolio, 3-column widgetized footer, four-color schemes, etc. The mobile responsive theme is compatible with the Genesis 2.0 and the HTML5 language. The retina ready features allow the viewer to use the theme on a variety of mobile devices. 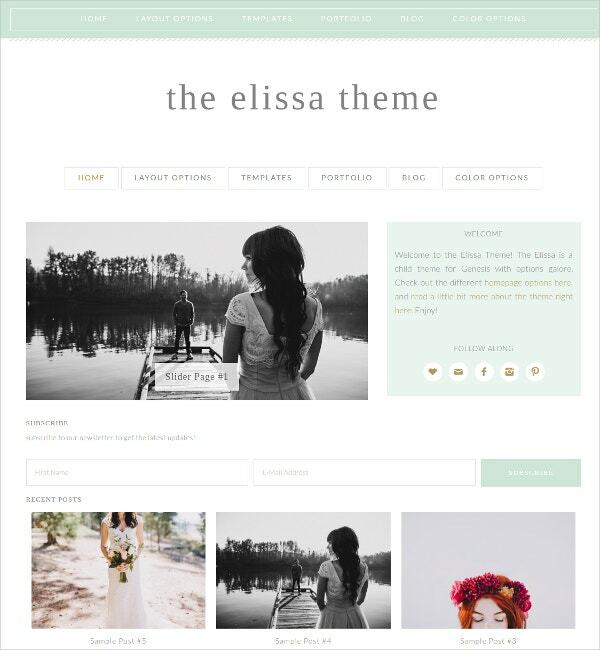 This is a very simple theme allowing you to display your content and photos. Using the built-in color picker, you can choose your own button colors. The HTML5 compatibility ensures that viewing on mobile devices becomes easy. The home page widgets, footer widgets, and the six layout options make this theme a highly customizable one. 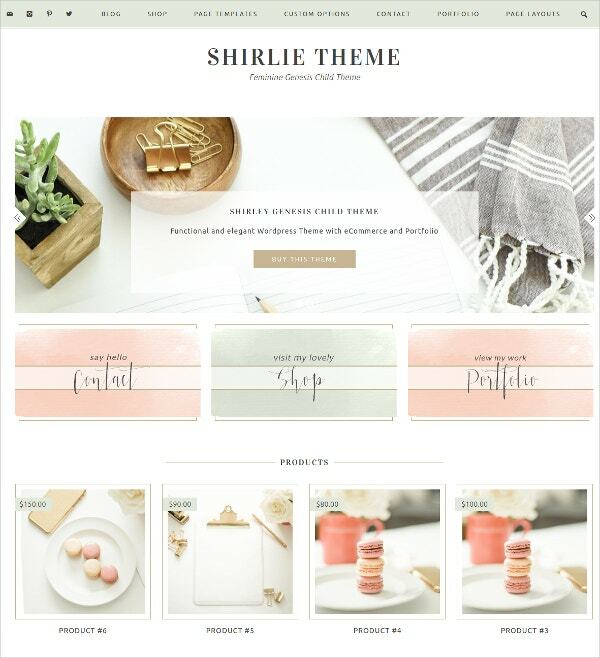 You can customize this WP theme using the built-in portfolio and the color customizer. This theme works on the Genesis 2.0 and HTML5 platform. Thus, it is a mobile responsive theme in all respects. The customized widgets and the header and footer facilities make this an easy theme to use. The WooCommerce compatibility ensures easy transacting over the internet. The text based header and footer facilities make this theme customizable in every respect. You can change the colors and graphics as well. The retina ready features make this theme a responsive one. Hence, viewing the same on the mobile would be easy. You have access to special page templates such as landing page and archive page templates. Any theme must be user-friendly. Otherwise, it affects its popularity. The themes discussed above are user-friendly to the core. In addition, you are able to view the responsive themes on a variety of devices. You have the facility to use different languages as well. Hence, all the factors combine to make these themes attractive and popular. You may also see 3 Column WordPress Templates.